"Requiem has been out of development since 2012 with the promise from Brahms, the owner of the project, who has quit the project and officially announced: "Requiem 4.1 will be my last official release, barring any obvious bugs that are easy to fix." Requiem is a program that can remove FairPlay DRM (created by Apple Inc) from songs, videos, and EBooks purchased on iTunes. It is the best freeware to decrypt Apple's DRM-ed files free from protecting without any loss of quality from the original source file, which had gained quite a bit of popularity among users. Besides, it's available on Mac, Windows and Linux. Unfortunately, since it finally lost battles with Apple Inc, it gradually works unstably and even stops upgrading in V4.1 for a long time, making it dwindled in popularity. What Version of iTunes or Requiem to use? Firstly, you need to know that Requiem isn't compatible with iTunes 12, because Apple has already restricted it in 2012. So, if you really want to strip DRM for free, then you would have to downgrade your iTunes to Version 10.7 or lower version. Uninstall your current version of iTunes. Re-install the necessary version of iTunes. Re-download the file you want to decrypt. Windows user has to install Java plug-in. 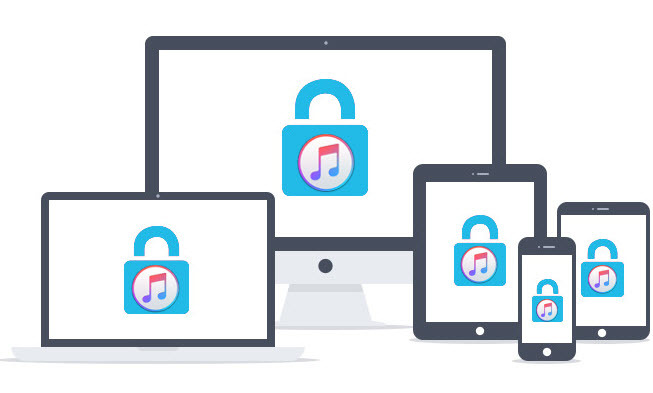 iTunes 10.7 can still work with Requiem to remove DRM from iTunes files — but such a setup is not ideal and is vulnerable to Apple’s whims if the company ever decides to prevent access to iTunes purchases on older versions of the software. You might be tempted to look for a handy way to remove DRM from iTunes videos in order to facilitate iTunes to Android syncing or other reasons. 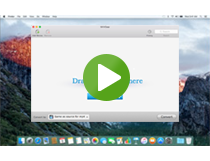 In fact, many easy-to-use tools exist for converting iTunes DRM videos. For iTunes users, the M4VGear DRM Media Converter is a good choice. M4VGear as "lossless" DRM remover is able to convert DRM-ed videos from iTunes, as well as fully compatible with the latest version of iTunes and new system. That makes it more obvious to be a viable modern day alternative to Requiem for removing DRM from iTunes videos. 20 faster speed to remove DRM from both iTunes purchases and rentals. Keep multilingual subtitles, closed caption and audio tracks including 5.1 audio. Preserve lossless quality and support batch conversion. Support the latest version of iTunes. Support the latest iTunes version 12.9. In general, M4VGear iTunes DRM Removal takes the easiest and most efficient way to backup iTunes videos. There is no doubt that M4VGear will be the best alternative to Requiem for those in need of removing DRM from iTunes both purchased and rented videos without loss in quality. At the meanwhile, for some users who are willing to convert iTunes protected music including Apple Music songs, M4P music, Audible AA/AAX audiobooks, Sidify Apple Music Converter endowed with multiple-functions and hence it's also an extremely potent software. Purchase M4VGear DRM Media Converter at $44.95 now, decreasing from original $49.95 by $5. How to Keep iTunes Rentals Forever?